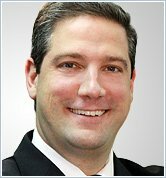 Tim Ryan was elected to the U.S. House of Representatives in 2002 and is currently serving in his fifth term representing Ohioâ€™s 17th Congressional District. He maintains a strong commitment to the economic and social well-being of his constituents in northeast Ohio. He serves as a member of the House Armed Services Committee, as well as its subcommittees on Readiness and on Emerging Threats and Capabilities. He also serves as a member of the House Budget Committee and co-chairman of the Congressional Manufacturing Caucus. Congressman Ryan has a daily mindfulness meditation practice and has been an outspoken advocate for promoting mindfulness as an aid to dealing with the variety of complex problems facing the nation.